Whatsapp Messenger Is Coming To Windows Phone 7.5. Rejoice! Not sure about you but the only thing that’s holding me back from using a Windows Phone as my primary device is the lack of Whatsapp Messenger. I cant expect to tell all my friends to send me SMS right? Seems like this problem will soon have a solution. Whatsapp is coming to the Windows Phone 7.5! Need more proof? NO PROBLEM! 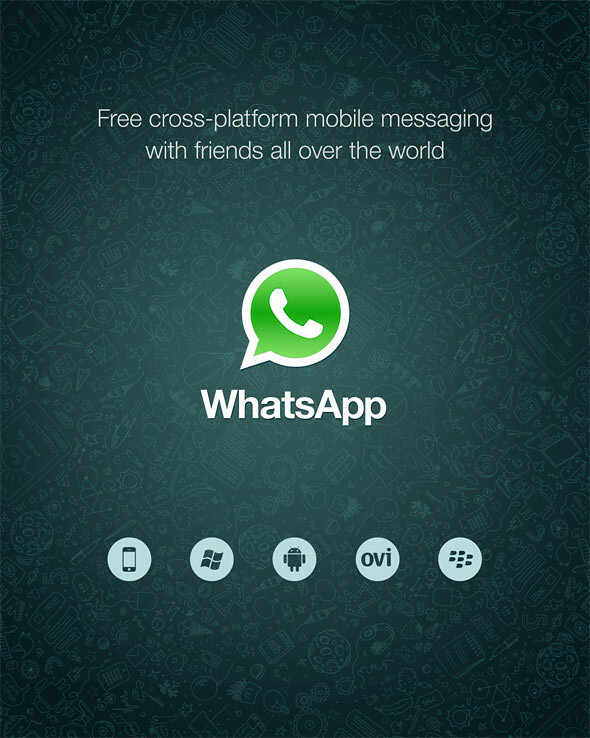 In the media section of WhatsApp’s website, they have a new “teaser” image up. There’s a Windows Phone logo at the bottom of the image side by side with other platforms like iOS, Android, Nokia and Blackberry. So there you go my fellow Windows Phone friends, let’s just hope the messenger will come as soon as possible. 3 Responses to "Whatsapp Messenger Is Coming To Windows Phone 7.5. Rejoice!" hehe come launched it already.